This essay that originally appeared in Critics at Large is reproduced on this website because I argue that the filmmakers of Trumbo refused to explore in any meaningful way the dark side to which America descended during the Hollywood blacklist. Bryan Cranston as Dalton Trumbo in Trumbo. Before a scene is shot, a screenplay is necessary. The screenwriter may draw upon his own imagination as well as other source material, as does John McNamara in Trumbo. But therein also lies a major problem: McNamara conveys skewed or caricatured portraits of gossip columnist, Hedda Hopper, actors John Wayne and Edgar G. Robinson, but also relies substantially on Bruce Cook’s hagiographic 1977 biography Trumbo (reissued in 2015), a source that the screenwriter acknowledges having read ten times. Cook did extensive interviews, including with Dalton Trumbo himself, to write primarily about his personal life and professional career as Hollywood’s highest-paid screenwriter before the blacklist. During those repressive times, he peddled scripts to small independent companies and then used a “front” who pretended to be the writer. Two of his scripts, for which he could not be credited, won Oscars. Unfortunately, Dalton Trumbo’s politics is given short shrift in Cook’s biography, a major flaw that is reflected in the film, given that Trumbo’s politics is the driving force behind making the film. As a result, Jay Roach has directed a simplistic, superficial and curiously apolitical biopic – notwithstanding a few heated exchanges about labour strikes in the film industry and Trumbo handing out leaflets – that drains the historical setting from 1946 until the early 1960s of any real context. I say curious because his earlier effort, Game Change, a television movie about John McCain’s disastrous decision to choose Sarah Palin as his 2008 running mate, is an insightful political film and vastly superior to this mediocre and occasionally embarrassing, puerile production. The blacklist that deprived hundreds of Hollywood personalities of their jobs polarized Americans. Roach’s Trumbo has replicated that polarization – some critics calling it a “thoughtful account” and a “sobering true event” while others have dismissed it as a “whitewash.” Unfortunately, I must side with the latter assessment, but for different reasons. The major source material, Cook’s biography, fails to adequately address Trumbo’s political involvement in the American Communist Party (CPUSA). He is so tentative about Trumbo’s politics that when he interviews his subject it is Trumbo who raises it. And in the film's script McNamara either avoids or soft peddles even the anodyne treatment of politics in Cook’s biography. Consider the divergent views of the Hollywood Ten who were called to testify before the House Committee on Un-American Activities (HUAC). By focusing almost exclusively on Trumbo, the filmmakers ignore the responses, for example, of screenwriter, Ring Lardner Jr., who did declare that he was a Communist before HUAC or director Edward Dmytryk, who not only admitted membership in the Party but provided the committee with a list of twenty-six members. Instead, McNamara fudges it by creating a fictional character, Arlen Hird (Louis C.K. ), who is supposedly meant to be a composite character. Perhaps more important is the airbrushing of Albert Maltz, one of the most militant Hollywood Ten, who took great exception to Trumbo’s “only victims" speech with which the film concludes. Delivered in 1970 to the Screen Writers Guild, Trumbo argued that the blacklist was a time of “fear” and “evil” – conditions that the inept screenplay rarely touches upon – and that everyone involved in this inquisition were victims. Maltz believed that those who provided names to HUAC could never be forgiven. It should have been a moving moment; instead it is merely sentimental because the script provides little substance to prepare the audience for a reconciliation speech by an individual largely portrayed as a combative personality. Had the director decided to begin the film with Trumbo delivering it, allowing for the Maltz response, and, through a series of flashbacks, enabling the older Trumbo (Bryan Cranston) to reflect back on the gyrations of his own political views, a process which he conducted in his real life, the tenor of the film would have been substantially different. Apart from a hostile neighbour, the filmmakers could also have provided some context to illustrate that fear and evil by showing us the harassment of blacklisted victims: wiretapped, subjected to tax and banking audits, a defamatory press, smear campaigns and political attacks that called for their deportation. One of the major significant omissions in the film is any kind of probing into Trumbo’s membership in the CPUSA, one that required members to tout the Party line set by Moscow, a condition of which Trumbo was well aware. Cook does relate Trumbo’s reaction to the removal of Earl Browder as leader of the American Communist Party because he wished to maintain after 1945 the wartime cooperation between America and the Soviet Union, but his superiors decided otherwise. Cook interviews a former Party member who remembers her husband discussing the Browder firing with Trumbo and the screenwriter saying, “It comes down to this, if Lenin was right, then Browder was wrong – and vice versa. I prefer to believe that Lenin was right.” McNamara and Roach ignore this exchange, yet it could have been important if they had pursued his increasingly ambiguous, even hostile, feelings toward the Party which he left for the first time in 1948, before rejoining for a few months in 1956. Like so many others, Trumbo joined the CP primarily by a desire to make a better world redress domestic social ills such as American racism rather than any love for Mother Russia. As he acknowledges to Cook, everyone who joined the Party was aware of the cost: he or she could be fired from their jobs and they would be under surveillance from the FBI. None of this appears in Trumbo. Neither, as one might expect, does the film include source material from historians that are unremittingly hostile to Trumbo and his cohort who refused to provide HUAC with names. 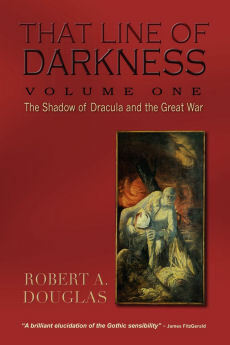 For instance, Alan Casty’s 2009Communism in Hollywood: The Moral Paradoxes of Testimony, Silence, and Betrayal is driven by the author’s hatred of Communism and those who supported the CPUSA. 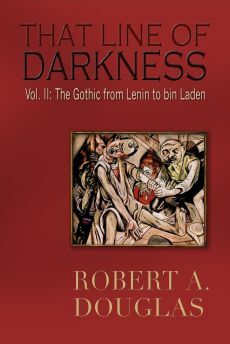 He argues that those who refused to testify and denounce Communism were complicit with the horrors of Soviet Communism, which he spends pages copiously documenting. For him, the heroes are the informers who deserve the high ground for speaking out against Communism and giving HUAC names. But should the blacklisted, rank-and-file American Communists be held accountable for the horrors perpetrated by the Soviet Bolsheviks? A more recent publication, The Stalinist Ten by Allan Ryskind is even more venomous toward these “traitors.” Several conservative commentators have favourably cited this “definitive account” as a cudgel to trash the film. At best, Ryskind cherry picks evidence to support his hardline interpretation. Ryskind’s account is most frustrating since it is exceedingly difficult to track down the sources for his evidence, given that he asserts the documents in his possession prove an argument or that his sources are buried away in university collections. Regardless, Ryskind has no tolerance for ambiguity or contradiction that I believe can best help us to understand Dalton Trumbo. In this respect, the 2009 Red Star over Hollywood by Ronald and Allis Radosh is more even-handed. 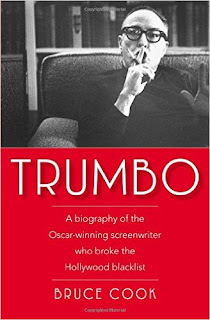 Although scathingly critical of the Communist cohort (and HUAC), they found Trumbo to be the “most interesting of the Hollywood Ten” because his “instinct for truth” was always in “conflict with the political lies that bound him to his Communist past.” They document how Trumbo’s letters reveal his “impatience with theoretical discussion,” and that he never believed in the “perfectibility of man or the perfection of the Soviet Union.” It must have been particularly galling to Trumbo to be accused by the Party of “white chauvinism” (code for racism), since he hated the racism that featured so prominently in American life and that was a prime motivator for his decision to join the Party. When he left it, his misgivings deepened as Trumbo realized that the Ten had become pawns of the Party. He recalled that the Party’s emphasis on proclaiming the innocence of the Rosenbergs was a cover for ignoring the far greater injustice occurring in Czechoslovakia – the show trials of the local political leadership on the orders of Stalin. Trumbo also hated the Party’s secrecy; its members should openly proclaim their membership and views, something that he did not do in the hearings, or they should not be members of such an organization. Instead of a free speech defense, the Communist Party dictated that they should not answer the Committee’s questions, never reveal their true affiliations to anyone, but appear rowdy and contemptuous at their testimony. The circus-like atmosphere is encapsulated in the newsreels of the time and in how Trumbo dramatizes the proceedings but without any sense of the Party’s machinations that expected the Ten to become martyrs to free speech by being cited for contempt of Congress. In an uncanny sense, the filmmakers replicate this charade by manipulating audiences into believing that the Ten were martyrs to free speech and paying the price by being sent to prison. Viewers would never know that a repentant Trumbo blamed himself for participating in this sham and for allowing himself to be manipulated by the CPUSA. The film does not even convey the sinister menace of HUAC members who were generally racist and anti-Semitic, and were primarily motivated to undercut the liberal legacy of FDR. In Trumbo, they are merely silly. 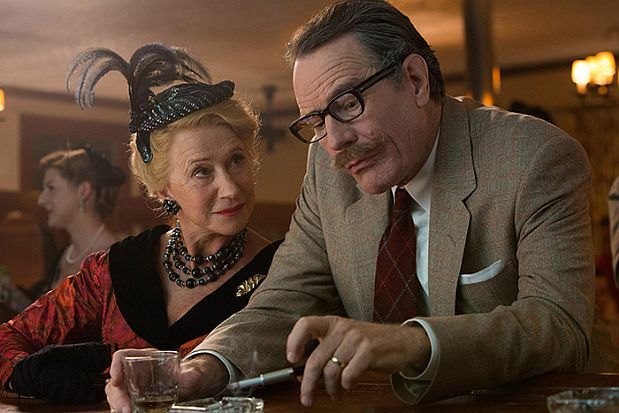 Helen Mirren as Hedda Hopper and Bryan Cranston as Dalton Trumbo in Trumbo. A bona fide Stalinist would never make such a distinction. The communists in George Orwell’s harrowing Homage to Catalonia, who set out to destroy anarchist militias during the Spanish Civil War, were Stalinists. The French television series Un village français (the second season is now available) dramatizes how a Party cell is willing to assassinate a German official knowing that it will lead to the execution of French civilians, and to dispatch any of its own members whom they regard with suspicion are also vivid examples of Stalinists. Americans who expressed wrongheaded views were not Stalinists but wrongheaded. Writing in the Washington Post, Richard Cohen, who also objects to blanket imprecise epithets then and now, asserts that they have that constitutional right. Had any of these issues infiltrated the screenplay, the film would have been immeasurably richer. Given the historical reductionism in Trumbo, is there anything that might recommend it to a potential viewer? Based on the two biographies, I think the film gets right Trumbo’s extraordinary work ethic and contrarian personality and how it affected his personal life. He's the family man who is always so busy working that he has little time either for his supportive long-suffering wife, Cleo (Diane Lane) or for his children, the daughter, Nikola (Elle Fanning), in particular taking exception to his lack of interest in ordinary family functions. Yet as the film portrays it, she turns out to be much like him. 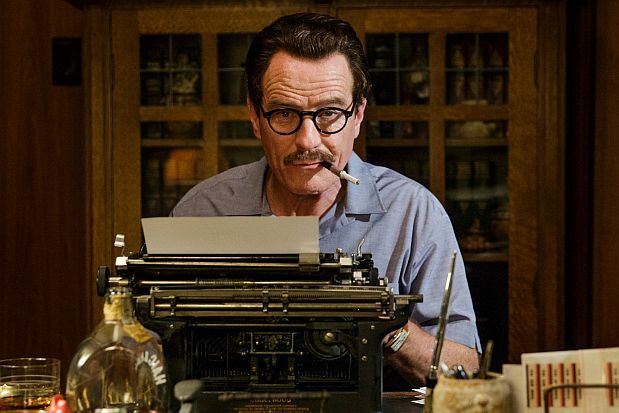 Some will respond favourably to Bryan Cranston’s flamboyant performance as Trumbo, an elegant, witty figure, who is fond of his creature comforts, smoking a cigarette through a holder and working on screenplays in the bath with his whisky and pills beside him. Likewise, many will lap up Helen Mirren’s rendition of the notorious, ultraconservative gossip columnist, Hedda Hopper, as a comic figure. Yet in one chilling scene, she blackmails and harangues the MGM boss, Louis B Mayer, and calls Jewish people "kikes." We may wonder whether her anti-communism appears simply as a mask for her anti-Semitism, an idea that the film never explores. Nor does it even mention that large numbers of the blacklisted were Jews. The scenes with John Goodman as film-company boss, Frank King, are simply played for laughs. Some viewers will have fun with the appearance of certain actors and directors: are they look-alikes for John Wayne (David James Elliott), Kirk Douglas (Dean O’Gorman) Otto Preminger (Christian Berkel) or Edgar G. Robinson (Michael Stuhlbarg)? Except for Robinson, all this is twaddle earning the film little aesthetic merit. I mention Robinson in part because he is the film’s sole liberal yet he supported Communist causes with his money. 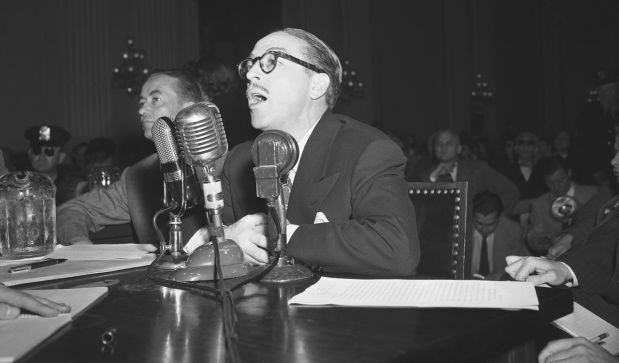 (Why was it not possible for anti-communist liberals such as historian, Arthur Schlesinger, who carried on a longstanding quarrel in print with Trumbo, to make an appearance? Could it be because most audience members would not know who he was? Yet it is a significant omission because those on the far left despised liberals more than they did conservatives.) At his own volition, Robinson appeared before HUAC to clear his name, and according to Ceplair, he did name names at his third appearance when Trumbo was already in prison. But that issue remains controversial. How much of their subsequent interactions in the film are accurate, I cannot say. But it does not really matter: what I have written in this paragraph is mostly about the candy gloss patina over a dishonest representation of the historical actors. I wonder what a great screenwriter like Dalton Trumbo would have thought of this script. Had the filmmakers possessed the courage they attribute to Trumbo, we might have seen a more engaging and yes, disturbing film. At the very least, the film would have been a more authentic evocation of a squalid historical era. One final thought: Anyone not inclined to read a biography or a monograph on this topic might be steered to the genre of crime fiction. Both Stardust by Joseph Kanon and Blacklist by Sara Paretsky provide depth and complexity about the fear and paranoia of these times that are woefully absent in Trumbo. This is some really interesting information on this biography 'Trumbo'. I honestly have never heard of it before, so I'll probably research a bit to understand more.